An OCI region contains until 3 Availability Domains (AD-1, AD-2, AD-3). 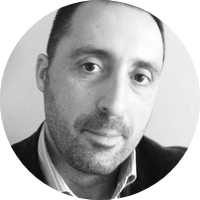 Availability Domains are isolated from each other, fault tolerant, and very unlikely to fail simultaneously. A Virtual Cloud Network (VCN) is a virtual version of a traditional network, including subnets, route tables, and Gateways on which your instances run. A cloud network resides within a single region but can cross multiple Availability Domains. 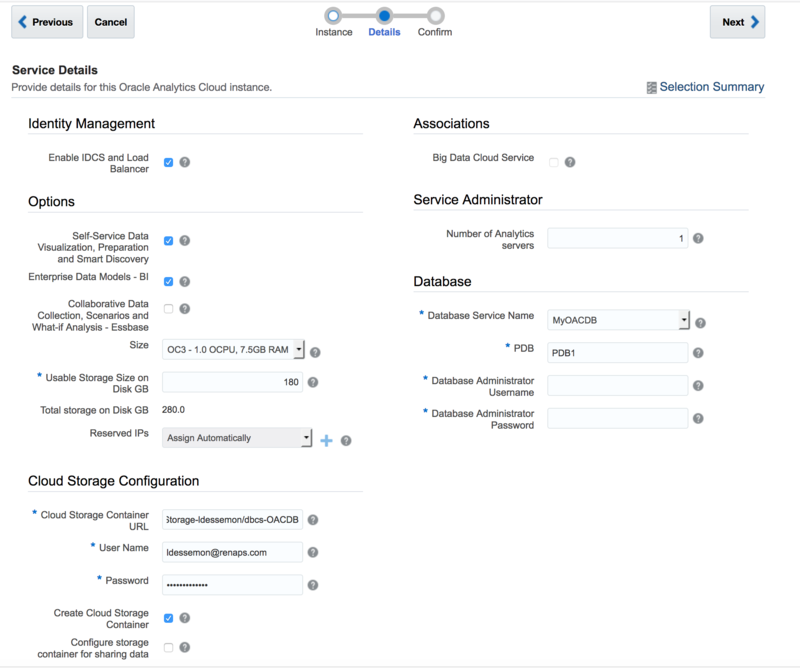 AAC is an Oracle-managed platform. You don’t have access to the underlying infrastructure, only the application over an URL. The AAC instance is provisioned within a Region/Availability Domain that you choose during the creation process. 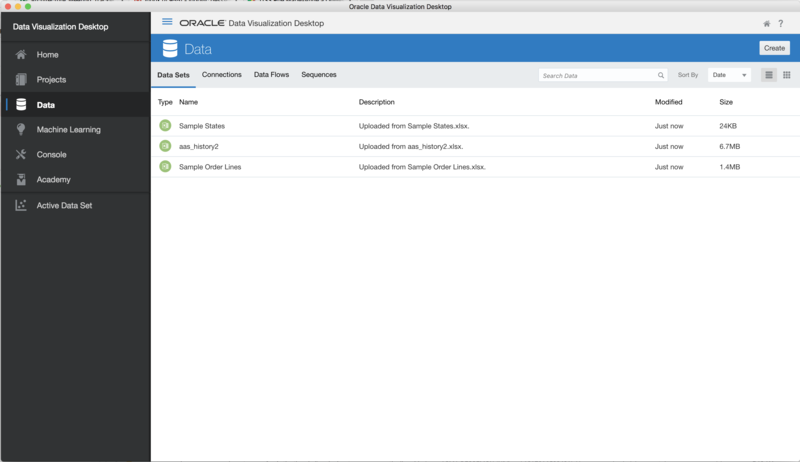 Standard Edition Oracle Data Visualization capabilities on a customer-managed platform, including autonomous self-service discovery and data prep, across web, desktop, and mobile. Data Lake Edition Standard Edition + accelerated analysis via Essbase and support for creating scalable, shareable high performance data flows. Enterprise Edition Data Lake Edition + support for a full semantic layer that enables proactive analytics via Day by Day, lift and shift for OBIEE, and live optimized connectivity to data warehouses. Cons If your strategy is to use the new IaaS generation (OCI), OAC will be provisioned in a different Datacenter than OCI (eg. for region North America : OAC in Ashburn-Classic and OCI in Ashburn. I tested the bitrate between the OAC's VM in Ashburn-Classic and the database's VM is Ashburn : closely the same than between 2 VM in the same AD/Subnet). We don’t have an access on AAC’s infrastructure. In my example I’m using an excel file generated from SQL*Plus. You can see below that the data set is not clean, we have to clean-up the data (eg. deleting some lines, converting some data, etc.). At this stage we only have to add this new data set. The new data set (eg. aas_history3 created above) is now added. You can use data flows to produce curated (combined, organized, and integrated) data sets. 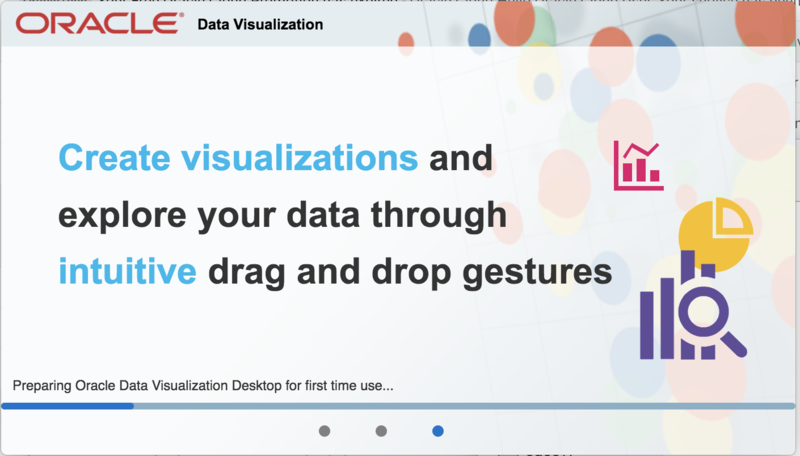 Data flows let you take one or more data sets and organize and integrate them to produce a curated set of data that you can use to easily create effective visualizations. 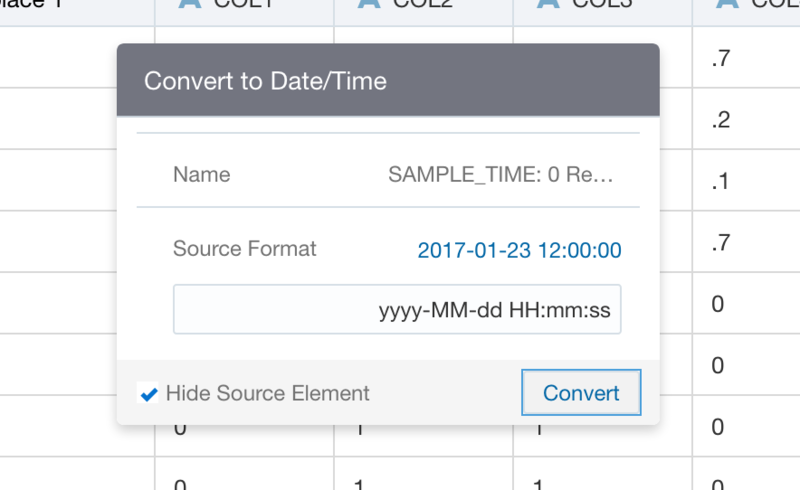 You use the Data Visualization’s data flow editor to select specific data from existing data sets, apply transformations, add joins and filters, remove unwanted columns, add new derived measures, add derived columns, and add other operations. The data flow is then run to produce a data set that you can use to create complex visualizations. We use the Data Set created before. We use this new Data Set for creating a Project. Projects contain visualizations that help you explore your content in productive and meaningful ways. When you create a project, you select one or more data sets containing the data that you want to explore. Data sets contain data from subject areas, Oracle Applications, databases, or uploaded data files such as spreadsheets. You can download Oracle Synopsis, a free analytics mobile app, from the Apple App Store and Google play => this app don't connects to your Analytics Cloud instance. It is limited to some data files (csv, xls, xlsx). On your mobile, open your data file and tap the "Share" icon or the "Open in .." action (if available) and select the "Synopsis" app. 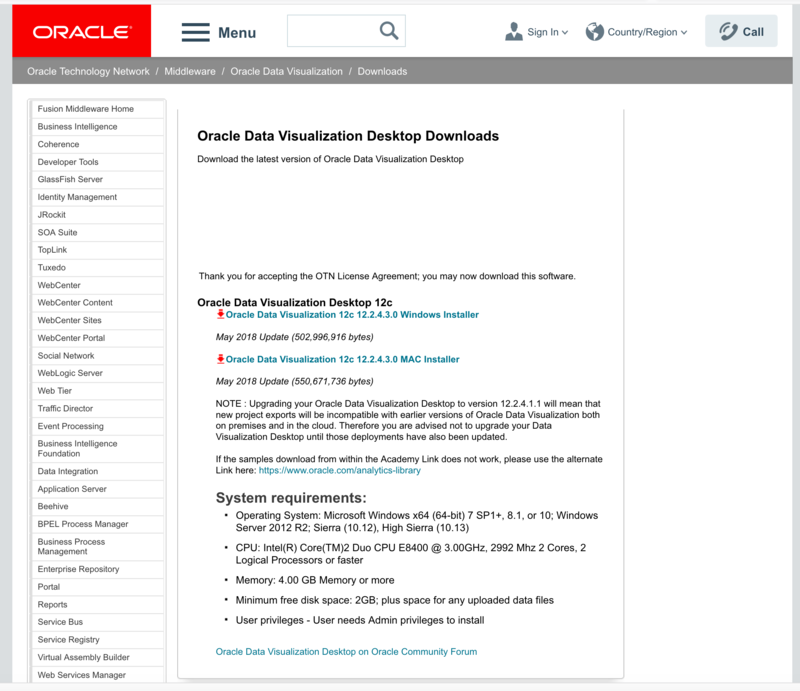 You can also download Data Visualization Desktop (Oracle Technology Network or from your OAC/AAC instance), for 50 users per OCPU. 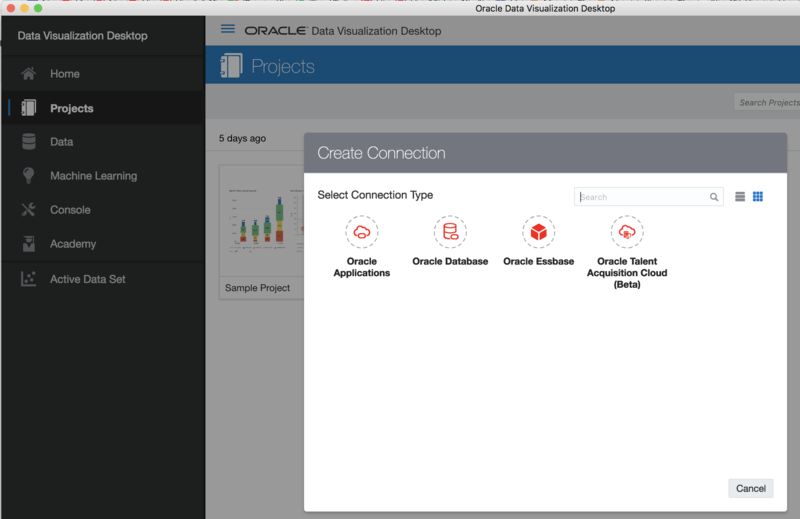 Data Visualization Desktop is not connected to your OAC/AAC instance but you can create some connections to your data using 4 connection types : Oracle Applications, Oracle Database, Oracle Essbase, Oracle Talent Acquisition Cloud (Beta), or opening an excel file. 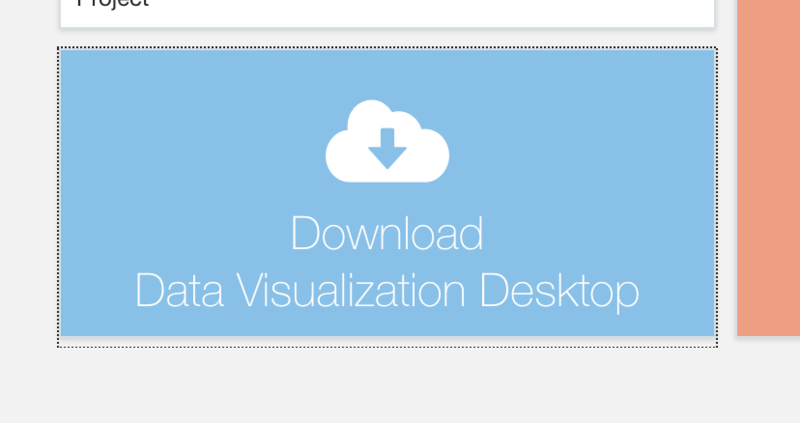 You can also import some external Projects (.dva file). 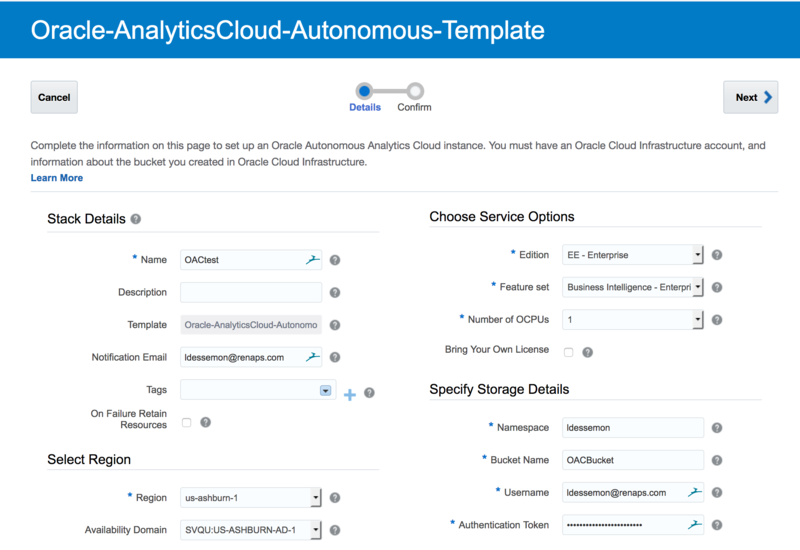 Try Oracle Autonomous Cloud Platform services, including Oracle Autonomous Analytics Cloud, by signing up for a Free Oracle Cloud Trial via cloud.oracle.com/tryit.